Honored guests, chairs, delegates, ladies and gentlemen, and mom, my name is Sanskriti Tandon and it is an honor to welcome you to the closing ceremony of my very last high school MUN conference. A Russian painter once said that everything starts with a dot. Similarly, our stories start with a dot. A small gesture towards a person can make a friend for a life. The smallest compliment can make someone’s day. 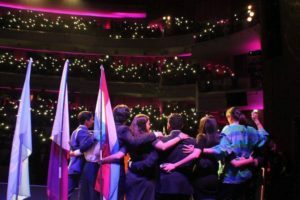 A small step into a committee as a delegate can turn into a life changing experience as I hope it did for most of you. The history of the human race and the challenges we have faced all together, only goes to show our resilience and our ability to take one small dot, and turn it into a painting. Despite this however we are not humans. Or at least not yet. We were all humans until race disconnected us, religion separated us, politics divided us, and wealth classified us. In a world claiming to be united, we are unconsciously putting up barriers, unrealistic expectations and a sense of detachment from those around us. I consider myself to be a fairly average person. I constantly think ‘if I can do this, so can everyone else’. Growing up in India I had very little exposure to the English language. As a 4 year old, my mom tried to teach me the alphabets so I could get accepted into kindergarten. Although I wasn’t fluent in English, my very first sentence in English was ‘I love you’. I didn’t know what it meant but it seemed natural to say it to my grandmother right before she dropped me on the school bus. But today I wonder, if a 4 year old could muster enough love and care at such an early age, why can’t we? Why is it that as we get older, our sense of compassion diminishes? As an 18 year old standing in front of you today, I never thought I would have the opportunity but more importantly, I never thought I would have the confidence to speak in front of the 30 delegates in my committee at my very first conference. However, imagine if we lived in early 1900s. I would not stand here today. Nor would any female in this room. Or any female in the world for that matter. Although it is minor, this conference stands as a testament that the scar of gender inequality is healing. But we can do so much more. We are fortunate in our seats of privilege hence it is why we should do something. Be it taking an initiative to make a refugee feel more welcomed, be it helping to sustain the lives of the elderly in your community or be it as simple as educating a child. But is not a journey you can take alone and neither did I. For this I want to thank my parents for being the pillars on which I stand here today. Your guidance, vision and endless criticism has never failed to push me past my next hurdles. 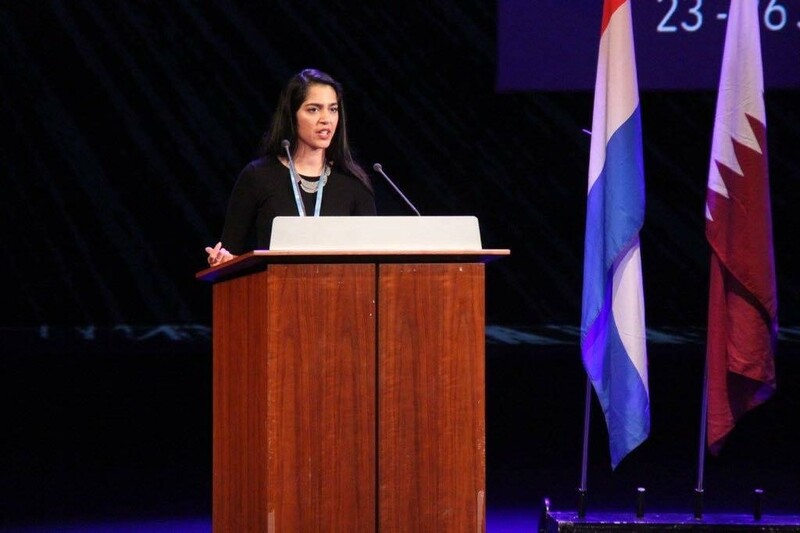 Thank you to the THIMUN Office for giving me these opportunities to become a different person. To my executive team. Seo Hee, my kimchi and korean BBQ dealer, Juntae to be honest you looked better in that man bun, Aya I wish we got those pink executive badges. Zoe you’re the only person I have been on 2 executive team with and it’s been a pleasure both times. Johann my respect for you went down exponentially this conference but you can’t hate on the Bambino’s. Umm where’s Jeeve? And Sandev for being my day one since debate one. I also want to thank Sanju, Acacia, Sara Ibrahim and Grace for constantly being my support system. And before I forget, Yara, you are still the butter to my chicken. I know the theme we set for this conference was gender equality but really, there’s only one word in there that you should focus on. If we forget gender, forget race, socioeconomic backgrounds, what do we have left? Equality. But even in a perfect world, we’re all going to have our differences. But those differences can become one of our similarities. Religion, wealth, political structures, these aren’t the problems. The problem is us. We blindly follow in the paths of the generations before us. We blindly put up walls to those who are different to us. Have you ever asked yourself why? Why do you not like that girl just because she has a different skin color? Why do you not like her because she has a different belief? So I want to leave you with this. The sustainable development goals are just the colors. Gender equality is just a dot. This is what we need to use to create our own painting. Because ultimately, that dot can only ever become a Michelangelo piece if we – each and every individual – moves the brush to create the masterpiece our world can be. THIMUN Qatar is pleased to announce its 2018 conference agenda.The theme of THIMUN Qatar 2018 is Sustainable Development Goal 5-Gender Equality and Empowerment for Women and Girls. All committees have one issue that ties to the conference theme. THIMUN Qatar is also proud to support the work of the United Nations Office on Drugs and Crime, and to incorporate many UNODC mandate issues into our 2018 Conference. Mandate topics are noted with an asterisk (*). The art of topic selection is fairly specific. All topics must be current, under discussion at the United Nations, and linked directly to UN sources. (The Student Officer Background Reports will help guide delegates to those resources.). Each Committee/Commission has one topic related to the conference theme, one to a specific region or country, and two that more broadly relate to the specific committee. UNODC mandates have been spread widely into the conference agenda, and in some cases have been selected to overlap with the conference theme. Again, Student Officer Reports will link UNODC mandate and materials developed through their Education 4 Justice (E4J) initiative back to the topic and shared so that delegates will have the best and most up to date materials available for their research. 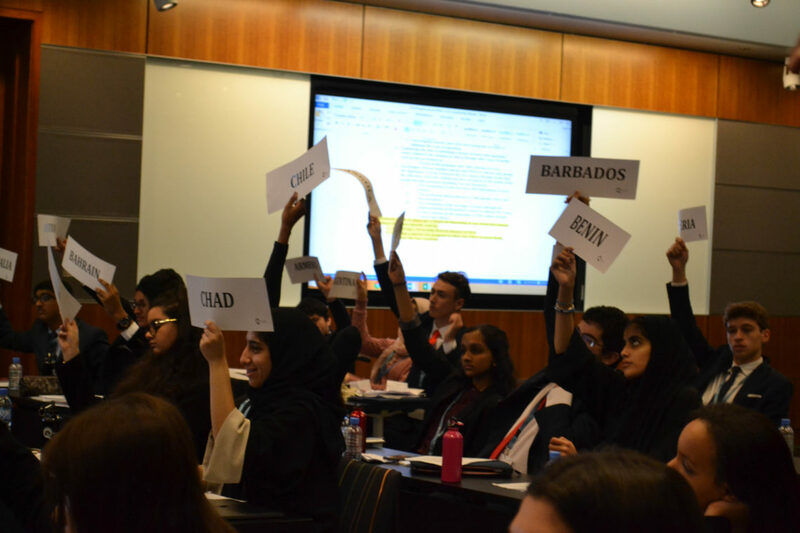 Note that Arabic and French committees had been expanded for 2018, and will run parallel committees to their GA3 and HRC 1 English counterparts. 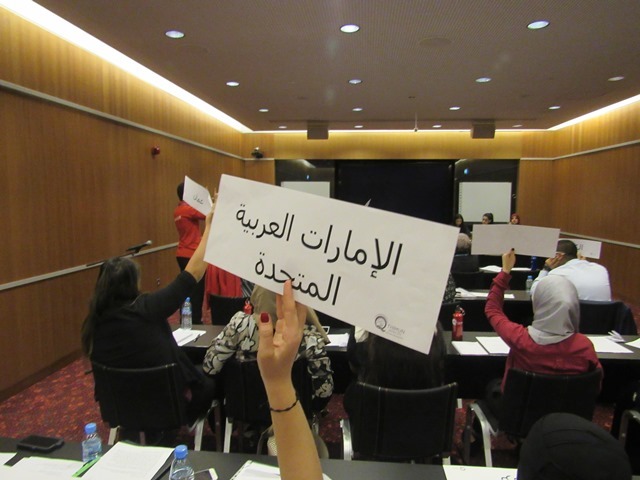 This year THIMUN Qatar will also reintroduce the Advisory Panel Question (APQ), which is a UNODC-themed panel focusing on Crime and Gender. The APQ President will share their findings with the UNODC through a joint communique at the end of the conference. All background reports will be linked to the website on/around October 31.